While we have had one of the best summers on record this year, we can’t help but eagerly anticipate the frosty evenings, obligatory sequined attire and indulging in a warming glass of vino most evenings of the festive season (no judgment)! So for this year’s Christmas party, we thought we’d combine all three and take Ragdale back in time to, arguably, a period who knew how to celebrate the best – the 1920’s! Hidden in the back-street bars of 1920’s Paris, were perhaps the most popular and sought-after soirées of the century, so we invite you to attend our sophisticated evening of friends, laughter and style!! As always, dressing to the theme is completely optional, but formal attire is most definitely encouraged as there will be A PRIZE FOR THE BEST DRESSED MALE AND THE BEST DRESSED FEMALE ON THE EVENING. We thought we’d share a few ideas with you to to spark your imagination. We have also provided below a list of popular and affordable retailers, you may wish to browse for your evening look (below). And REMEMBER, the festive period arguably offers some of the heaviest discounts, so take advantage and hit those sales to find yourself a sassy/dapper get-up! 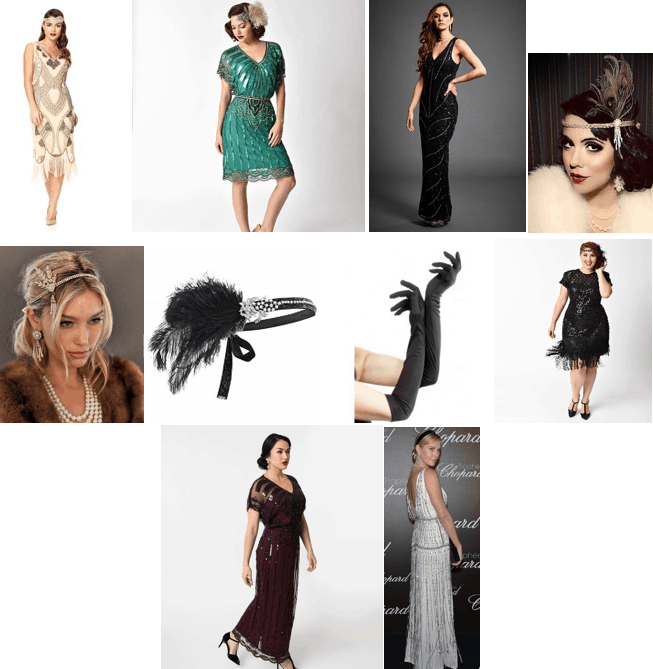 Don’t forget ladies, we don’t actually need to buy 1920’s-inspired dresses if we’re on a budget (we’re nearing Christmas after all!). Jazzing up a dress you already have with some beautiful themed accessories as below, can really transform your look (we all love affordable glam)! Apologies for the limited imagery, the pouting and the teen band members, but hopefully this gives you some kind of inspiration!! 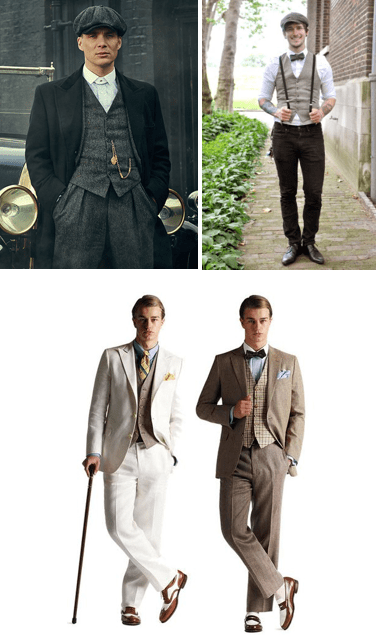 We know you will most definitely have a better idea of where you can buy your dapper get-ups from, so have just provided a link to Amazon below, where you can find some themed accessories for the evening. Thank you for reading and hope to see you there. Please note, as this is possibly the hottest party of the year to hit M-Town, you will need your ticket to get in – don’t forget it!! !